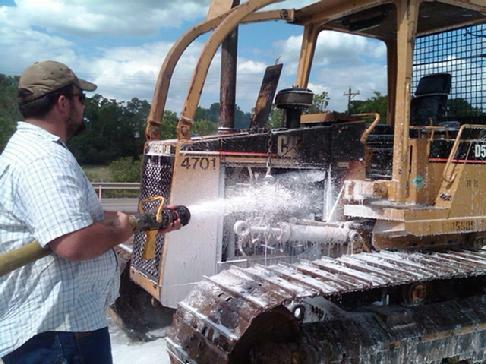 A fireman sprays foam ensuring the fire is fully extinguished. Construction Mishap Torches Bulldozer, LEGGETT, April 15, 2010 - Shortly before 4 pm on April 14, 2010 there was a construction accident that occurred on FM-942 West about 1 mile west of Leggett. 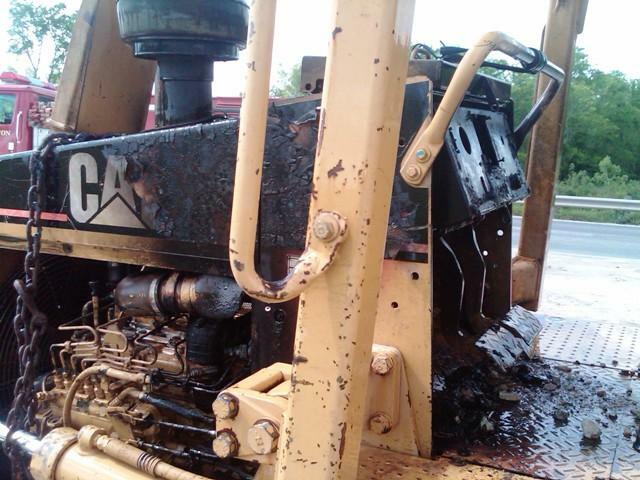 The accident occurred when some workers were performing maintenance on a Caterpillar D5C bulldozer that was being used on a bridge construction project over Long King Creek. 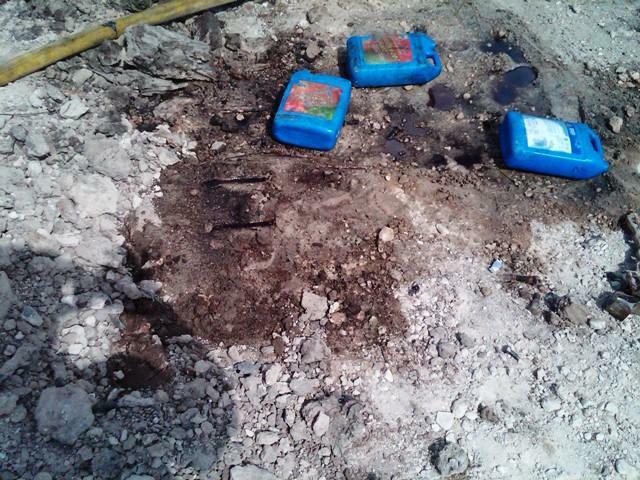 Spilled fuel on the ground was somehow ignited. Fear of the bulldozer catching fire prompted men to use a backhoe pull the bulldozer away from the flames, but not before the dozer caught fire. The Livingston Volunteer Fire Department was dispatched to the scene with a tanker truck and a pumper truck. 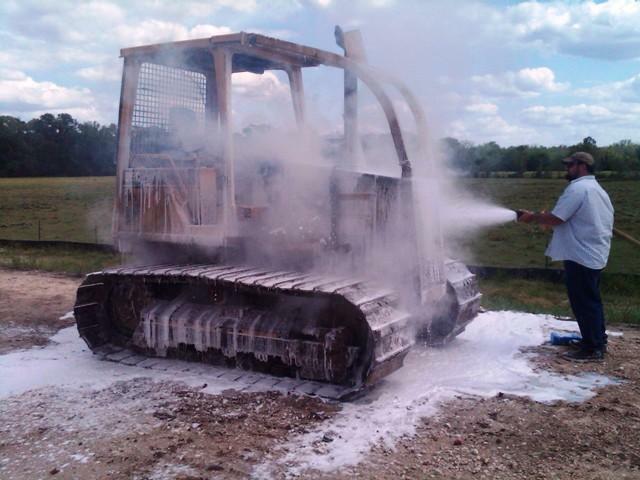 Firemen extinguished the blaze but the dozer did sustain some burn damage. The dozer is owned by Longview Bridge Construction. 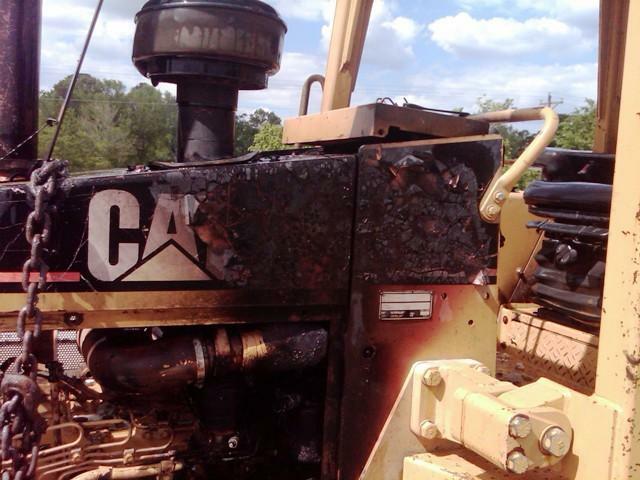 Spilled fuel on the ground was somehow ignited causing the dozer to catch fire.